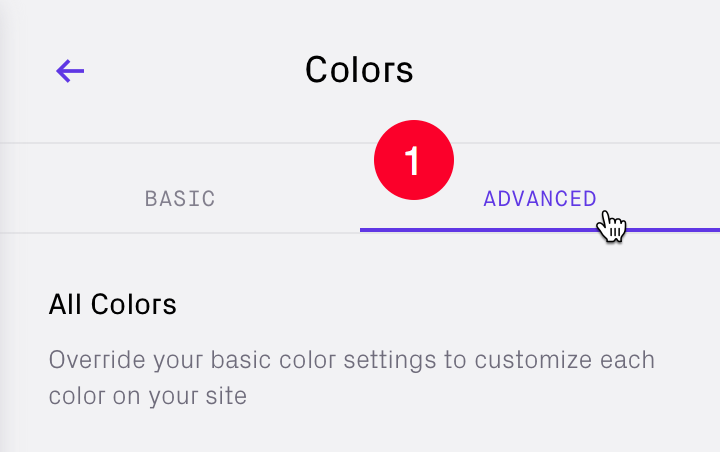 Change all colours on your site. 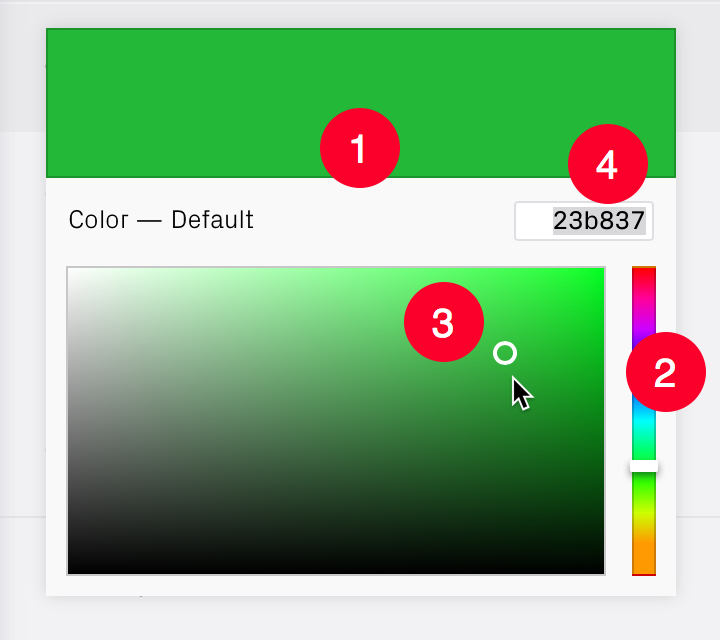 The 'ADVANCED' panel of Colors allows you to override the BASIC Key Colors and customize every color on your site. This is important if you have a specific 'branding' to match. 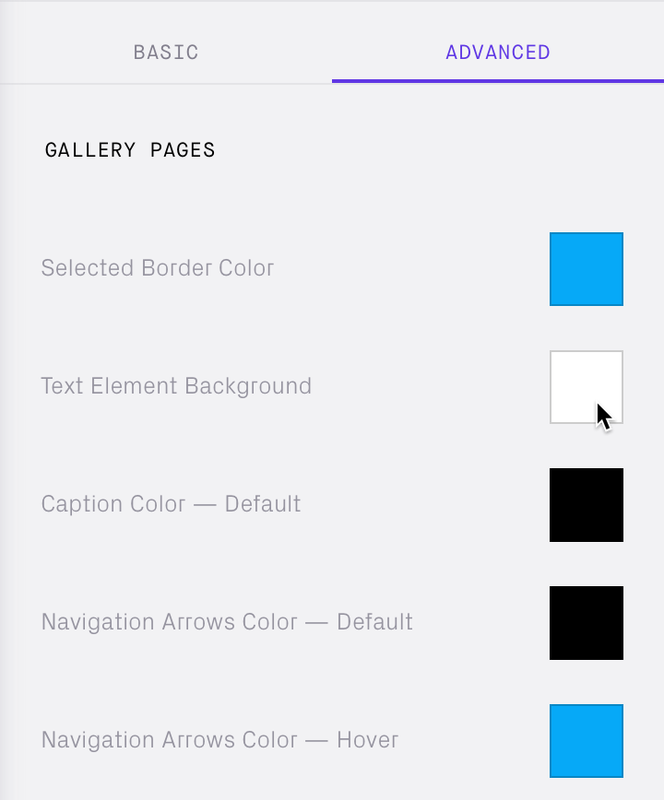 Tap the 'Colors' panel in the Design editor. 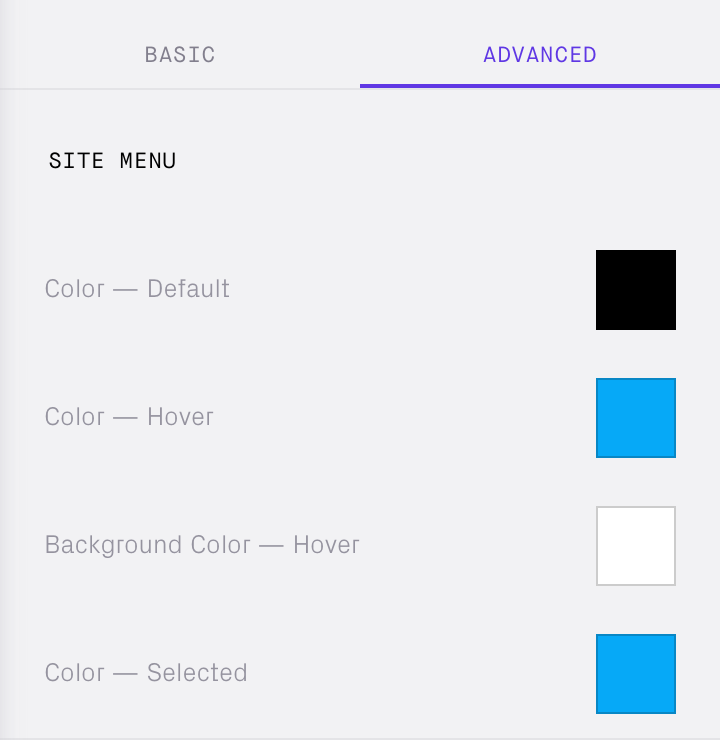 The ADVANCED panel will display the Preset or Basic Key Colors applied to sections of your site and allow you to edit them individually. Every theme has individual characteristics, the screenshots shown may not match your theme. The best way is to modify the swatches and preview the changes and refine. Add the #HEX number directly into the field above. Site Menu is for your navigation links, usually in the top (header) area of your site. Heading Text for all larger Headings on your site. The Text Logo color is set separately. For Body Text on all pages except for Blogs which can be styled separately. See Blog below. Text Links may be shown for email address or external links that you have added. The Footer area often shows the site Copyright © information. Change the colors to work with your images and branding. Set color of text link (usually the Page's title). 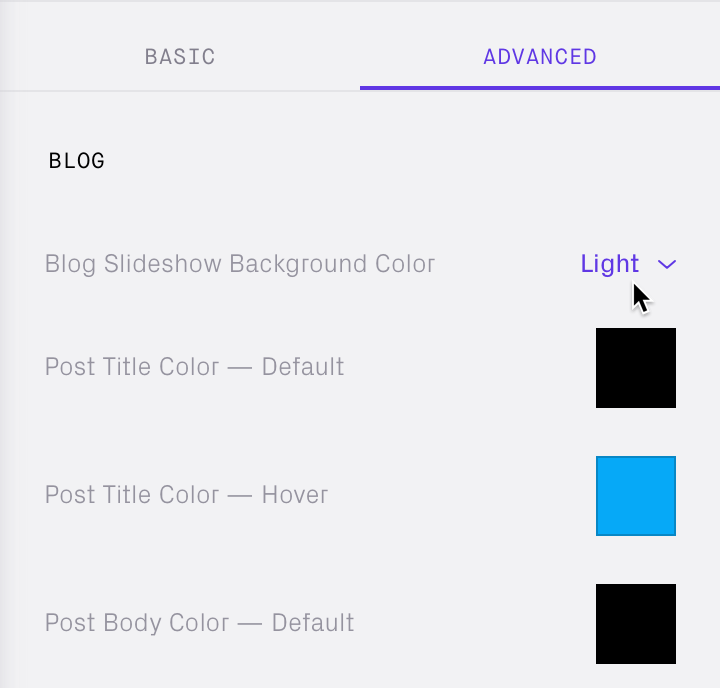 Blog colors can be set differently from the rest of your site. 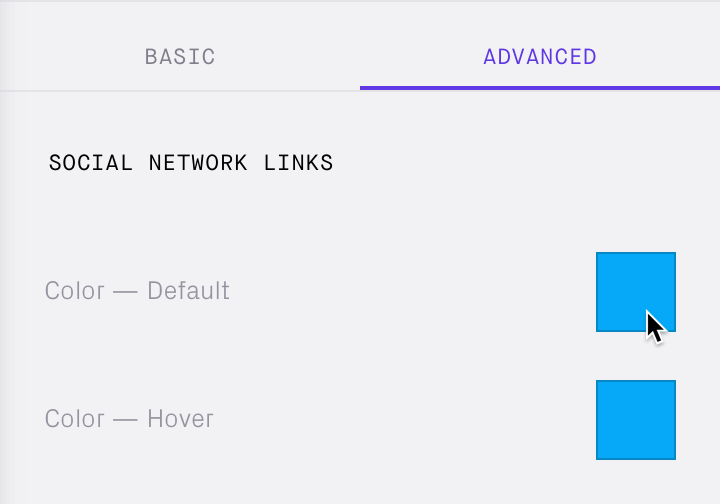 Social Network Links apply to the icons or text used. Website Background applied to your whole site. 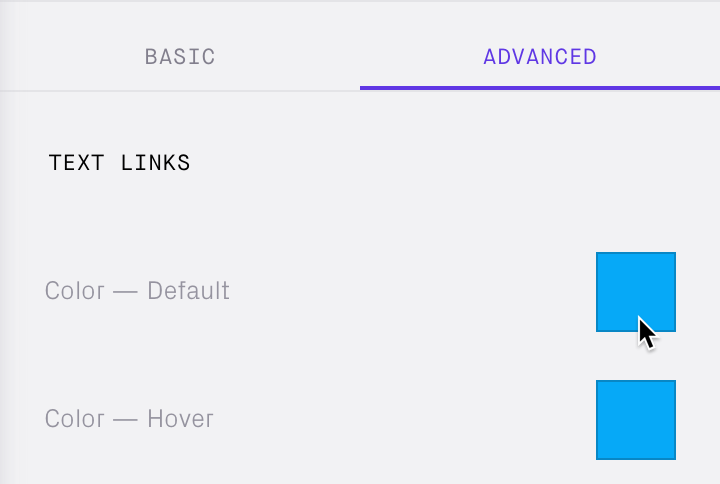 If you don't like the changes made in the Advanced panel you can reset these to the original Preset default you selected in the Themes panel. Presets area (under thumbnail preview) tap 'Modified'. 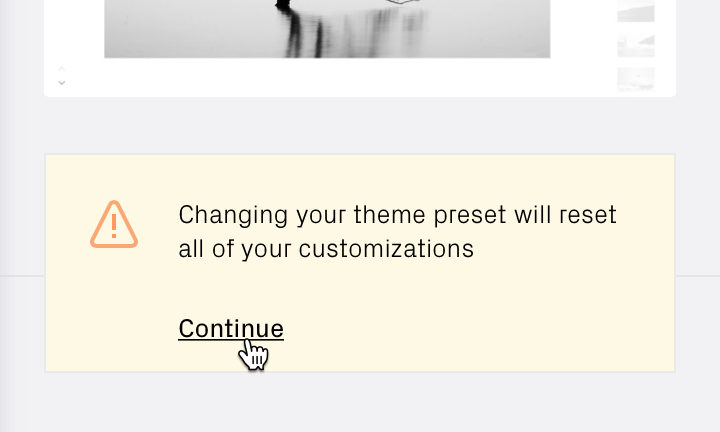 A warning will be displayed advising 'Changing your theme preset will reset all of your customizations'. No content (images or text) that you have added to your site will be affected.